The Egyptian newspaper, Al Youm Al Sabe topped the list for the nd consecutive year.The newspaper attracted more than 15 Mln visitors to its website. Forbes Middle East recently unveiled the much-awaited ranking of the Top 63 online newspapers of the Arab world. In a gala ceremony held in Dubai, attended by editors-in-chief of several newspapers from Arab countries along with senior executives from the corporate world, Forbes Middle East unveiled the coveted list for the second year in a row. This event was sponsored by Qualcomm and Al Tayyar Travel Group. 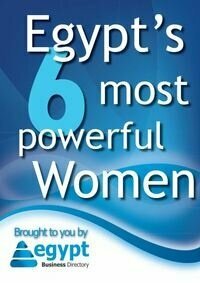 The Egyptian newspaper, Al Youm Al Sabe topped the list for the second consecutive year. During the period of survey, the newspaper attracted more than 15 million visitors to its website. The Algerian newspaper, Chorouk, bagged the second position, moving up from third position last year. Climbing 19 places from last year’s list to the third position was Emarat Alyoum, followed by the Egyptian newspaper Al Ahram in the fourth place and the Jordanian newspaper Al Rai in the fifth place. In this year's survey, Forbes Middle East analysed eight newspapers from Saudi Arabia that lead the list, followed by the United Arab Emirates, Egypt, and Lebanon, each having seven newspapers vying for the honours. There were five newspapers each from Bahrain and Jordan. Al Watan, a Bahraini online Arabic newspaper, moved ahead the most in the ranking in comparison to its position in last year’s list. It moved 30 places up to take the 16th position in this year’s list, followed by Al Rai, which climbed 25 positions to enter the premium ‘Top 10’ list. Emarat Alyoum moved up 19 ranks. There were 37 newcomers to the list this year. Al Eqtisadieh from Kingdom of Saudi Arabia, which ranked eight, is the only newcomer to make it to the Top 10. The ceremony was also attended by Dr Nasser Al-Tayyar, president of Arab Publisher House - Forbes Middle East magazine, and Khuloud Al Omian, editor-in-chief of the magazine. Forbes Middle East compiled this list according to the Forbes methodology of scientific research, supported by Google Analytics, which is the best provider of website data. Forbes Middle East’s Research Department collected all the data from each newspaper management based on Google Analytics from July 5-September 4, 2011. Forbes Middle East has always highlighted the importance of the role that media plays in raising awareness and educating communities in economic and social development including the electronic media that played a significant role in the recent Arab Spring. Forbes Middle East is headquartered in Dubai Media City. The magazine is currently published in Arabic, covering all topics related to business and finance that draw entrepreneurs' interest for new investment opportunities in the Arab region. The magazine holds all rights to publishing and distributing of Forbes Middle East in partnership with US based Forbes Media. Forbes Middle East will launch its English edition and English website in early 2012.